Sundays are a great day to turn up the tunes and dance around the house. And to help ward off winter’s chill or maybe break up a long day indoors, our download of the week is a boogie-filled number called Rooms off the Grammy-nominated album Home by Tim Kubart. Starting off with a funky beat that reminds me of early 80’s dance tunes, Rooms tells of a joyful boy who is showing off his home to a new babysitter. Tim’s youthful voice, which your kids may recognize as the host of Sprout’s Sunny Side Up show, is backed by a chorus of voices and horns that add so much depth to this happy song. And at a time of the year when we get a little sick staring at the four walls around us, this is a great download to remind you all of why our rooms–no matter how many we have–are actually pretty great. 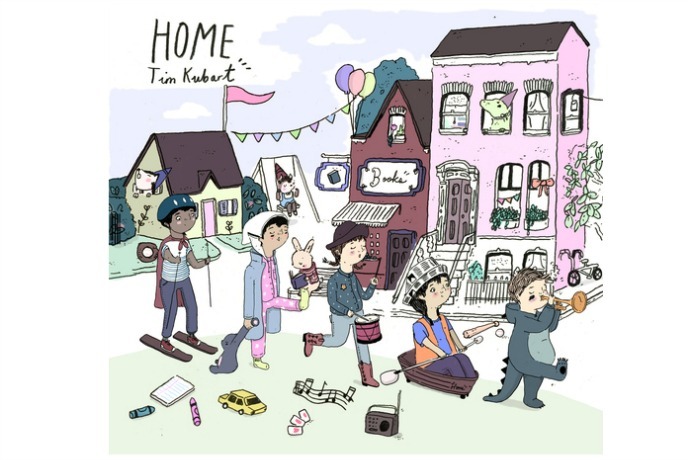 Download Rooms by Tim Kubart off his new album Home at our affiliate Amazon.